Itâ€™s very hard for me to pinpoint at what point in my life I became a â€œhouse-headâ€. As far as I can remember Iâ€™ve been enamored with dance music (and the true culture it breeds) in all of its varieties. In my opinion, music and dance are vital to un-pollute your soul, connect you to your past, guide you into the future, and connect you to people with similar outlooks on life. I love music in general, but have found my musical calling in this thing they call â€œHouseâ€. Isolating my â€œstyle of house musicâ€ is tricky as I pride myself in staying away from one-dimensional mix sets. I am quite fond of House music with a touch of â€œWorld Musicâ€ (a characteristic that sets our dance music apart from the rest). The House I drop is often sprinkled with natural percussion, brass, and keys. African and Latin rhythms (as well as vocals and chants) are predominant in a lot of my music. Iâ€™ve recently become more interested in combining â€œnaturalâ€ house rhythms with deeper â€œelectronicâ€ type house tracks. Being that I grew up in Chicago, Iâ€™m also fond and capable of the more classic Chicago sound (Jackin beats, Acid, Funky jazzy tunes). In the end itâ€™s all house music fused together, in the right quantities, to create a vibe that stimulate your soul and moves your body. The Curious J has performed live in several clubs/lounges in Chicago, Milwaukee, Minneapolis, Seattle, Duluth, Hawaii and Vancouver Canada. 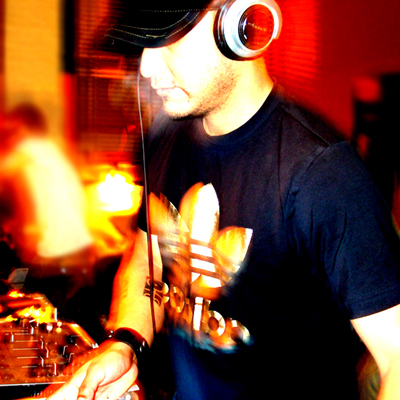 His sound is broadcasted worldwide though his live weekly residency on Dogglounge Radio. He produces house tracks under the name MOCALITIC. In the end, the best way to discover and understand who CuriousJ is, is to take part in his musical experience by dancing to his beats.